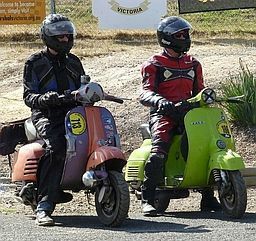 Where can I get detailed information on the original finishes, and all the small details of a Vespa restoration? I’m starting to strip and refinish some of the smaller parts on the scooter like the seat, but I can’t find any information about original paint colour. Some sort of reference would be handy so that I don’t make any stupid mistakes.